You can choose the experience you want, every day. In the second blogpost in this series, we mapped your experience on the 3 Circle diagram. In this 3rd step, describe the experience you would prefer. Describe how this is different than the current experience. In Step #4, we will look at the agreements underpinning this difference in experience. When guiding someone through a Harmonic Vibrancy Move process, to support them in consciously choosing their agreements, I have found it useful to remember a small set of guardrails. This minimal set of “guardrails” supports us in staying on the desired path as we encounter the infinite complexities that arise in any process. I use the guardrails as reminders, as supports for seeing, choosing, and enacting agreements with individuals, small groups, and very large groups. These guardrails provide reminders for the principles we want to co-host along the transformational journey. The five guardrails I use are: (1) abundance-based (2) co-hosting of (3) a collaborative (4) inquiry into (5) the agreements, experience, and outcomes available within the system. abundance-based. Am I being abundance-based, open to the potential, to the possibility available in the group and to how to manifest it? Are the processes I am facilitating supporting abundance-based inquiry? co-hosting. Am I engaging my own hosting intention in the process? Am I remembering that the others, nature, and spirit are also hosting this with me? Am I facilitating that co-hosting? a collaborative. Am I inviting the unique contributions of all participants? Are we collaborating to produce a synergistic harmony from the combination of our contributions? inquiry into. Am I coming from a place of knowing or asking? If I don’t know and you don’t know until we see it together, I must foster and co-host a space, a process of inquiry, an inquiry into the possibilities we see when we bring together our individual contributions. the agreements, experience, and outcomes available within the system. We engaged in the Harmonic Vibrancy Move process, because we saw that something greater than our current reality was available to us. We know that the vibrancy we experience tells us about the quality of the underlying agreements we have, and the outcomes available. Am I checking in continuously with myself and with the others to see what our experience is indicating about our agreements and outcomes? Are we open to seeing new possibilities, in our experiences, agreements, and outcomes, and seeing pathways for manifesting the new possibilities? If you have developed other guardrails for co-hosting a group through the Harmonic Vibrancy Move process or would like to share your experiences in using these guardrails, please include them in the Comments section here. To support my work with groups on their Agreements Evidence Maps, I compiled a working paper with relevant information to build an Agreement Evidence Map (click here to access the Google Doc). The document is based on the text from chapters 4-6 of Ecosynomics: The Science of Abundance, different blog posts as well as some of my own thoughts and structures. I offer it to the Vibrancy community working with Agreements Maps, and invite you to collaborate on enriching the document. The final destination of this collaborative effort is the building of a comprehensive Agreement Maps Handbook (max. 20 pages). Feel free to add your experiences and ways of working with Agreement Maps, to change or restructure the document or to leave comments with impulses and suggestions. You can work on the Google Doc in your Internet browser without installing any software and your changes are automatically saved. The third application of the four-step harmonic vibrancy move is to how people exchange value in networks of human interaction. 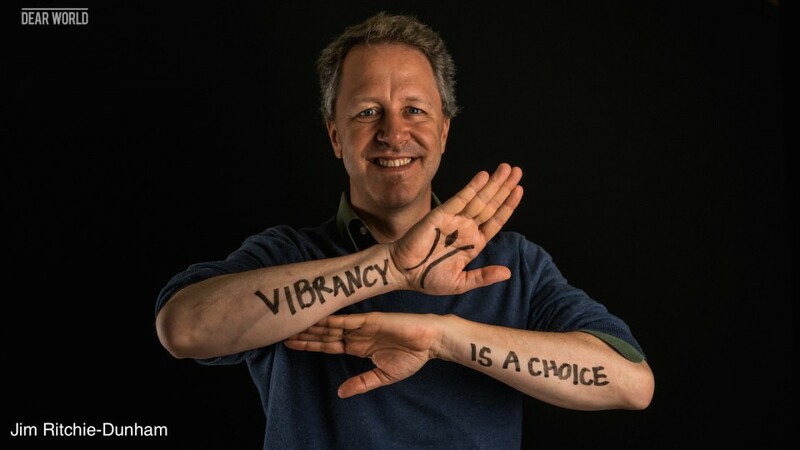 The harmonic vibrancy aspiration for value exchange is the daily experience of prosperity through the exchanging and sustaining of value – everyone experiences abundance of what she values, a value-full life. The harmonic vibrancy reality is that people report that they do not, in general, experience abundance in everything they value, and they do experience abundance in some things they value. While what is of value to people is a question as old as humanity, industrial-based economics has defined a narrower set of values, suggesting that money is a value-neutral mode of wealth assessment. While highly contested, within economics, as the key metric for value, money is a strong driver of value-driving behavior today. Money stores value as a medium of exchange. Currently money is scarce, because it is defined as scarce, with specific banks chartered with creating a limited supply of money, at their discretion. From an ecosynomic axioms perspective, on the X-axis, the current monetary system gives people a greater freedom, independent of their heritage or relationships – anyone can have unit of currency: however, it is left to the individual to step into her own potential. On the Y-axis, mutuality makes currency available to anyone, but bares no witness to the other’s gifts or potential. On the Z-axis, money promotes movement within the collective, but it does not take, pay attention to, or care for the collective or the individuals. On the A-axis, money removed the direct relationship to the divine. There is no relationship with money and nature. Another understanding of value exchange is emerging, where money is the symbol of the flow of vibrancy through humanity, as it manifests in our agreements. The word money comes from the Latin word monére for warning or reminder – a reminder that money is not a noun, rather a verb, the flowing vibrancy. Money reminds us, in each interaction, that we are presencing the flow of vibrancy through one person towards another, whether through what they produce or the service they provide. This presencing is an agreement, a human agreement. Ecosynomics proposes that the human experience of harmonic vibrancy is described by a rich set of values, greatly reflected in human relationships to one’s self, another, collective, spirit, and nature. Ecosynomics suggests that value exchange facilitates the flow of resources that sustain and generate these dimensions of human experience that people value. There are certain values that the individual or collective can readily nurture and sustain, while other values depend more on the gifts of others. For those gifts, there is the reminder, money. Ecosynomics also shows that intention matters. In a string of agreements, how the value exchange enters the agreement influences what is done with it and what is possible to do with it. Tens of thousands of collectives across the globe are experimenting with different definitions of what they value and how they exchange value. Asset-based community development is identifying the assets the community values, those they have, and those they can develop further without sacrificing those they have. Complementary currencies are experimenting with: (1) the agreements about how money works (i.e., whether it is interest-bearing, scarce, and has an asset basis); and (2) the culture within which the money works. Sarkozy, the President of France, commissioned leading economists to develop metrics that move beyond GDP to include well-being. A collective’s ability to work with and shift its agreements around what is valued and how to exchange value depends to a great part on their level of harmonic vibrancy, as reflected in the different axes. Some agreements function well in low levels of vibrancy, on any axis, such as bartering. A need is exchanged for an offer. Higher levels of vibrancy work best with subtler forms of value exchange, supporting each other to take on more significant contributions to one’s own development as well as that of the collective. A collective’s capacity to see and step into value-exchange agreements that nurture prosperity is influenced by its current position in the harmonic vibrancy zone and its capacity to move towards greater vibrancy. Clearly there are many implications of this shift from value exchange as a scarce monetary system to value exchange as a reminder of the infinite capacity residing within the emergent system. The industrially developed world is based primarily on an assumption of value exchange as scarce. If value is in fact abundant, and not scarce, then how people exchange value would change in significant ways. The first observation is that even within existing agreements, different possibilities show up in conversations that are based on scarcity than those based on assumptions of abundance. For example, in a small textile US-based company, a conversation about value exchange for an employee can focus solely on the perceived scarcity around financial compensation, leading necessarily to a request for greater pay to alleviate the scarcity. Leadership has also experimented with a broader conversation encompassing a rich set of values generated for the person by being in relationship with the community of the company. A second observation, from the perspective of value exchange in harmonic vibrancy moves, is that the individual or the collective cannot be satisfied by a partial value set. For example, people do not make most decisions based only on how much they make. They also decide whether the work is satisfying, the people they work with are nice or not. Now, some jobs are so awful that wage is the only determinant, but this is not so for most ways that people engage with others to create value. Finally, seeing money as a reminder of flow opens people to seeing what manifests for them externally as a reflection of an infinite potential of an internal flow of creativity. A counter view is that one’s inner sense of wealth is a reflection of the amount of scarce, finite money to which a person has access (see Figure 1). Elsewhere we distinguish between value-neutral and value-ignoring, suggesting that money is not neutral, devoid of intention, rather it drives values, and that this is a residual effect of scarcity agreements around money. The etymology of “money” is uncertain, according to the Oxford English Dictionary, with possible connections to the Latin monere, which means “to warn, remind,” see (“money, n” The Oxford English Dictionary. 2nd ed. 1989. OED Online. Oxford University Press. 4 Apr. 2000 .). For more on complementary currencies, see (Lietaer, 2001). For more on Sarkozy’s well-being commission, see (Stiglitz, et al., 2008). For a perspective on the corporation as value creator versus value appropriator, see (Ghoshal, Bartlett, & Moran, 1999). For deeper insights into the effects of perceptions of money, see papers on the dynamics of money (Ritchie-Dunham, 2009) and the impact of intentions on strings of agreements around money (Ritchie-Dunham & Hulbert, 2009).